Bowerbird, in collaboration with Blank Forms, is pleased to present Maryanne Amacher: Perceptual Geographies, a multipart exploration into the work of pioneering sound artist and composer Maryanne Amacher (1938–2009). A collaborator with John Cage and Merce Cunningham, Amacher spent her formative years as an artist in Philadelphia, where she studied at the University of Pennsylvania with composer Karlheinz Stockhausen. Known by many for her sonic explorations of psychoacoustics or her architecturally staged installations, few listeners have been able to experience this wide breadth of Amacher’s “listening mind” in person. Informed by years of research and presented by an international network of artists and scholars, Maryanne Amacher: Perceptual Geographies offers audiences a rare opportunity to experience Amacher’s work posthumously. In addition to a series of workshops and talks exploring Amacher’s methodology and artistic philosophy, the weekend will feature performances of Amacher’s compositions Adjacencies (1965), for two percussionists and electronics, and Petra (1991) for two pianos. The artistic collective Supreme Connections will also create a site-specific performance-installation using archival audio and visual materials. The concerts will take place at Holy Apostles and The Mediator Episcopal Church (51st and Spruce), with each component being sited in a different architectural space on the historic congregation’s expansive campus. 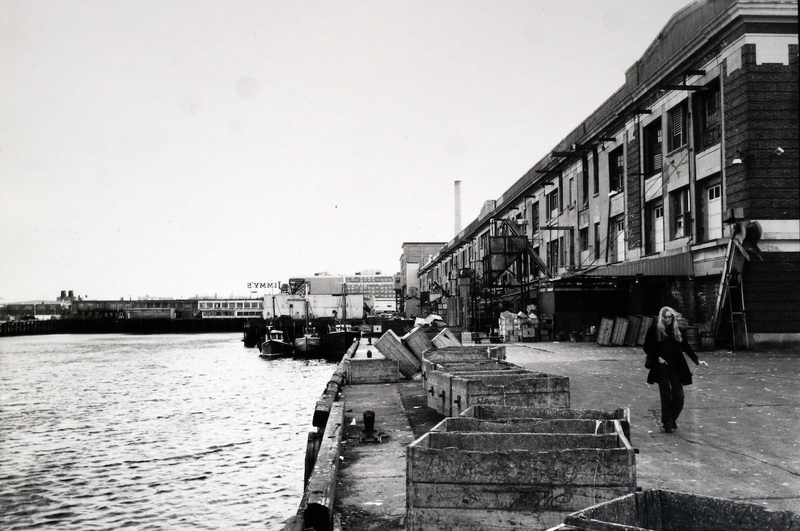 Maryanne Amacher (1938 – 2009) was a composer of large-scale fixed-duration sound installations and a highly original thinker in the areas of perception, sound spatialization, creative intelligence, and aural architecture. 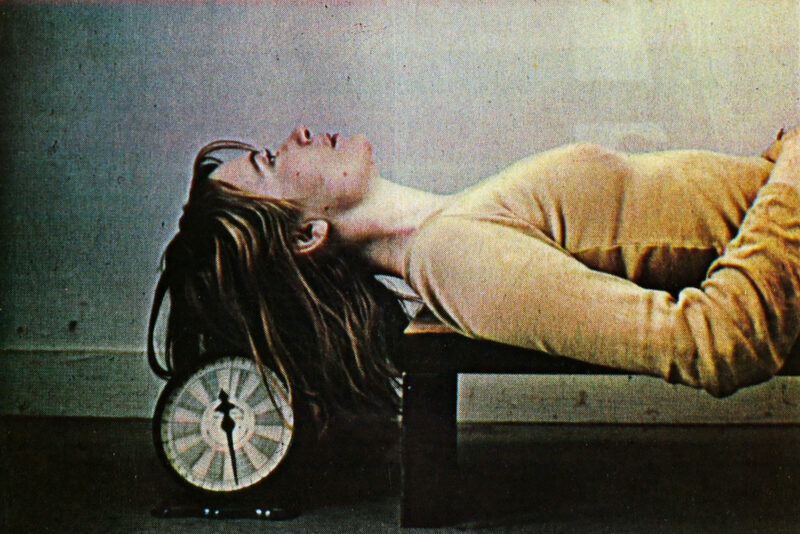 She is frequently cited as a pioneer of what has come to be called “sound art,” although her thought and creative practice consistently challenge key assumptions about the capacities and limitations of this nascent genre. 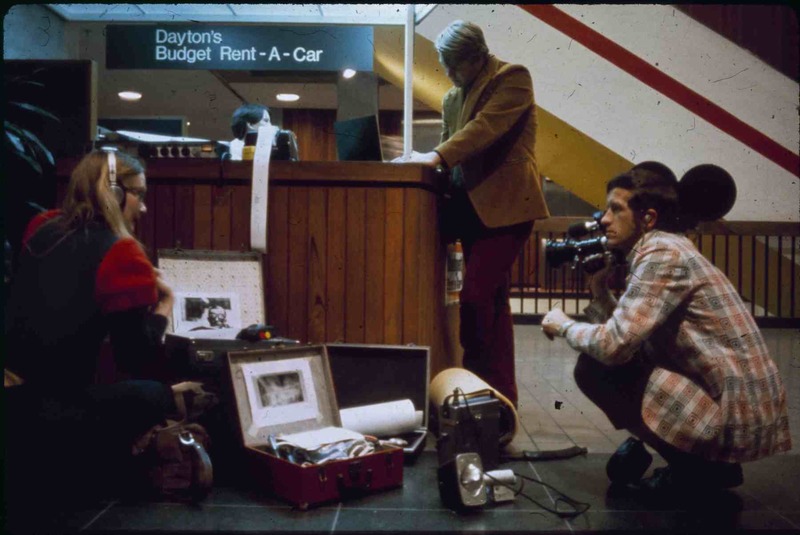 Often considered to be a part of a post-Cagean lineage, her work anticipates some of the most important developments in network culture, media arts, acoustic ecology, and sound studies. Amacher was born in 1938 in Kane, Pennsylvania, a small town in the northwestern part of the state, just south of Erie. Her formative years were spent in Philadelphia, where she enrolled in the University of Pennsylvania in 1955. As a music major, she studied with composer and theorist Constant Vauclain, George Rochberg, and the prominent German avant-garde composer Karlheinz Stockhausen during his tenure in Philadelphia in 1964 and 1965. 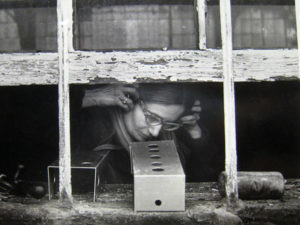 After her work at University of Pennsylvania, Amacher went on to hold a series of fellowships at the University of Illinois’ Studio for Experimental Music, MIT’s Center for Advanced Visual Studies, SUNY Buffalo, Capp Street Gallery in San Francisco, and many others, also internationally. In the late 1960s, while at SUNY-Buffalo, Amacher pioneered what she called “long distance music,” or telematic, site-related works that would later crystallize into her renowned City Links series. During her time as a fellow at MIT’s Center for Advanced Visual Studies (1972-1976) she began developing her “ear tone” music with the help of Marvin Minsky’s Triadex Muse, a synthesizer and compositional tool utilizing principles of artificial intelligence. Amacher’s “ear tone” music emerged from creative use of combination and difference tones, along with otoacoustic emissions, or sounds produced spontaneously within the cochlea. She followed developments and debates in otological research on OAEs and other psychoacoustic phenomena closely. Such independent scholarship was an important stimulus to Amacher’s career-long research into “ways of hearing” and the creative potentialities of how the ear itself processes sounds both of itself and in situ. By her own account, Amacher’s work is best represented by three multimedia installation series produced in the United States, Europe, and Japan between the late 1960s and her death in 2009. 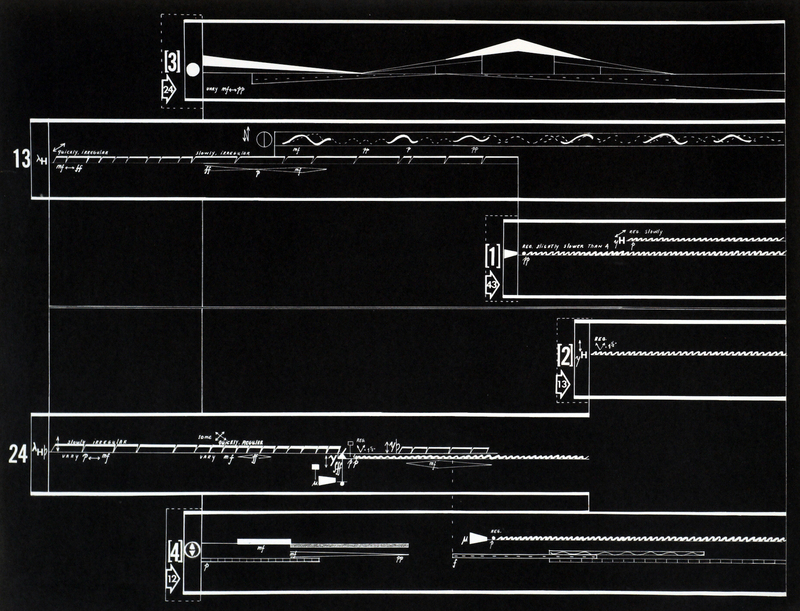 In these major works, City Links (1967-1980), Music for Sound Joined Rooms, and the Mini Sound Series, Amacher refashioned composition as a dramatically staged creative undertaking in experimental acoustics. She was fascinated with the physicality of sound, the way it propagated in space, and the unexpected ways that it provoked images and sensations in the “mind’s ear.” Her approach was slow, deliberate, and empirical. She would spend hours listening to seemingly unchanging tones or making minute adjustments to loudspeaker placement. For Amacher, these things were not details or minutiae: they were the very heart of her work, the equivalent to the painstaking working out of themes or harmonic progressions in traditional music. In City Links, Amacher transmitted live sonic feeds from multiple cities (or multiple sites in the same city) via high-quality telephone lines and mixed these sources live during exhibitions, concert presentations, or radio broadcasts. In City (1967), a 28 hour live mix, connected eight locations around Buffalo via phone lines to WBFO. The program was recognized by the Institute for Education by Radio and Television for its innovative, experimental approach to radio’s role in fostering social community. In City Links, Amacher reflected upon the changing sense of place created by the general public’s access to air travel and telecommunications. Work titles often reflected these themes (e.g. No More Miles and Tone of Place). It was a prescient tremor of the “network culture” thematics to come in recent media art. Through 1979, she realized 21 iterations of her City Links series, many of which were collaborations with visual artists and/or architects. They took the form of installations, performances, and combinations of both. The house, on a hill in St. Paul with its panoramic view of Minneapolis, was lit by tall quartz spots, as if a movie set. The time: midnight. [In the] music room, where two grand pianos had been, was now an “emergent music laboratory,” there were 21 petri dishes with something growing in them — the musicians and instruments of the future. DNA photos and biochemical diagrams were placed on music stands. Meanwhile, the entire house was full of a spectacular sound — incredibly loud and unbelievably dense — sound, circulating throughout the rooms, out the doors and windows, down the hill, past sedate Victorian mansions. It seemed to contain the energy of all frequency ranges at once, yet never approached white noise. [Listeners] felt themselves pushed, as if by acoustic pressure, out into the garden, where the entire house was heard, sounding, as a gigantic instrument. As the spatial “staging” in both Music for Sound Joined Rooms and Mini Sound Series became increasingly critical to the work series’ articulation, Amacher began developing visual components that functioned to both heighten the overall aesthetic experience of a visitor and to also guide visitors through the series of rooms that would frame a given work. These visual components were comprised largely of original videos and slide projections, but also included scrolls, 3D-images, objects, and texts. A conversation between scholar and historian Amy Cimini, Yarn/Wire percussionist and Adjacencies interpreter Russell Greenberg, and Blank Forms artistic director Lawrence Kumpf situating Maryanne Amacher’s “Adjacencies” within the lineage of her larger body of work. They discuss the practical challenges surrounding the interpretation and re-staging of the piece 51 years after its last performance and play a variety of pertinent audio, including a rehearsal recording of “Adjacencies”’ original performance by Jan Williams and Edward Burnham, audio research material used as a model for its reinterpretation, and a selection from the later piece “City-Links..: Buffalo” demonstrating Amacher’s practice of recycling audio material from earlier work. A conversation between scholar Blank Forms artistic director Lawrence Kumpf and Stefan Tcherepnin about Maryanne Amacher’s “Petra” on the occasion of its 2017 performance in New York. Amacher’s 1991 piece Petra was originally commissioned for the ICSM World Music Days in Boswil, Switzerland. Written for two pianos, Petra is a unique example of Amacher’s late work, a direct extension of her working methodologies for electronic compositions taken into an acoustic realm that alludes to the music of Giacinto Scelsi and Galina Ustvolskaya. The piece is a sweeping, durational work based on both Amacher’s impressions of the church at Boswil and science-fiction writer Greg Bear’s short story of the same name, in which gargoyles come to life and breed with humans in a post-apocalyptic Notre Dame. 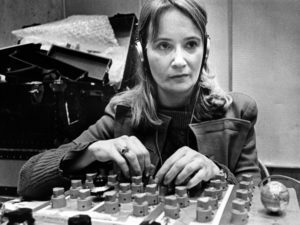 Rare interview with Maryanne Amacher on WFMT radio, conducted in 1974 preceding performances of City-Links and Everything in Air at the Museum of Contemporary Art, Chicago. Amacher discusses her telematic music, recordings of piers, and “no more horse”—the idea that antiquated forms of music with rhythms based on horses’ gallops have been replaced by a new minimalism. Presented in collaboration with Blank Forms. 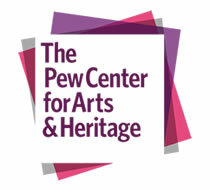 Major support for MARYANNE AMACHER: PERCEPTUAL GEOGRAPHIES has been provided by The Pew Center for Arts & Heritage, with additional support from the Musical Fund Society of Philadelphia and the Aaron Copland Fund For Music.